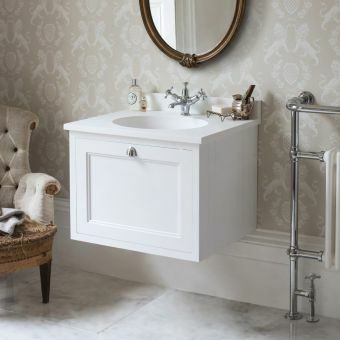 Burlington bathrooms offer traditional styling featuring basins and toilets plus and extensive range of brassware that echoes a true Victorian look. 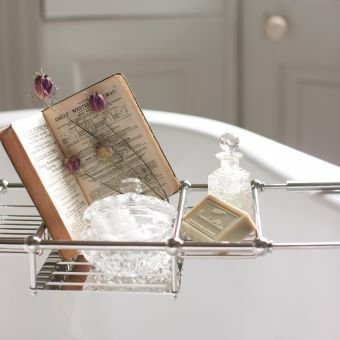 Traditional values coupled with modern technology and nostalgic charm. 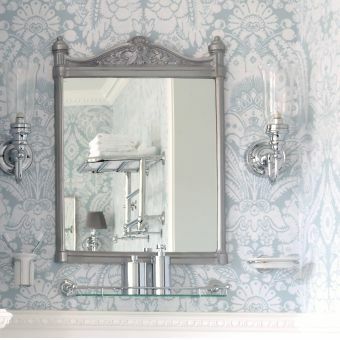 Bathrooms that evoke period elegance and have vintage appeal. 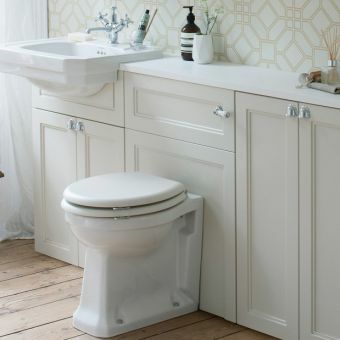 With traditional pieces like high level cistern WCs, and period style recreations of contemporary units such as the close coupled toilet, Burlington demonstrate their enviable ability to turn their hand to any design concept or combination. 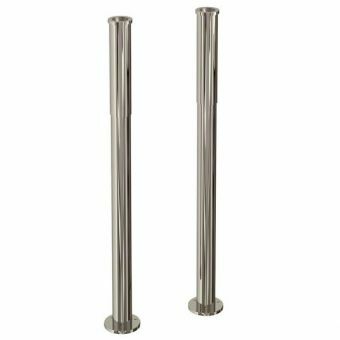 Burlington Close Coupled WC (510mm)From £90.35 inc.VATRRP: £139.00 (Save 35%)Choose from rimless, raised height or standard. 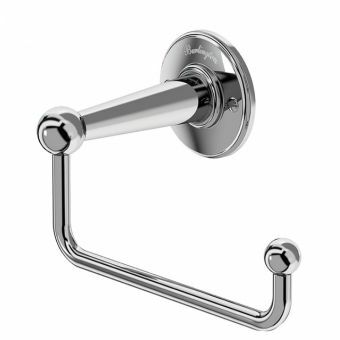 Options for a lever in black or white, or a chrome flush button. 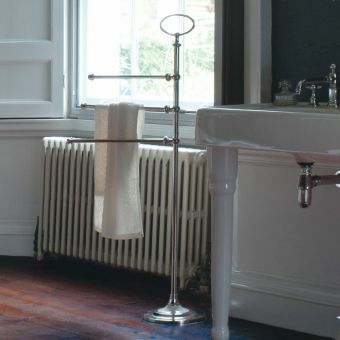 The focal point of the bathroom, cloakroom or en suite, is the basin and it is only natural that you will want to find the right one. 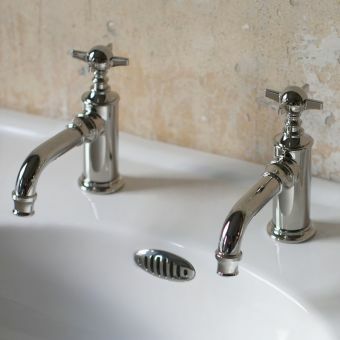 Burlington Basins and Sinks have a timeless feel matched only by their excellent build quality. 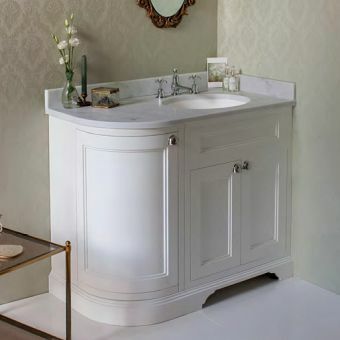 With some of the finest wood and marble bathroom furniture on the market, the Burlington Range is a breathtaking collection of beautiful pieces both natural and painted. 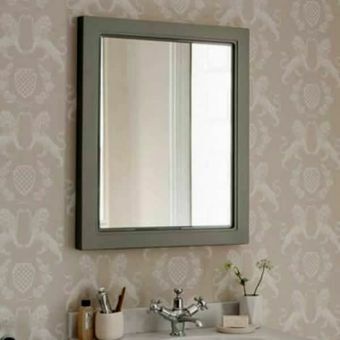 Vaniyu units and WC surrounds are the perfect choice for a period interior. 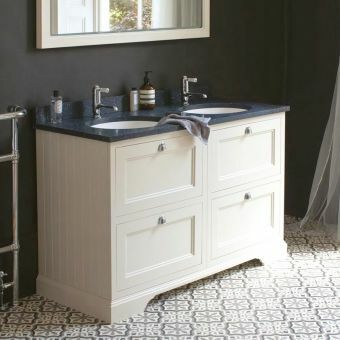 Free DeliveryBurlington 130 Double Vanity Unit with Four DrawersFrom £844.99 inc.VATRRP: £1300.00 (Save 35%)Vanity Unit 130 x 85h x 55cm with four soft close drawers. 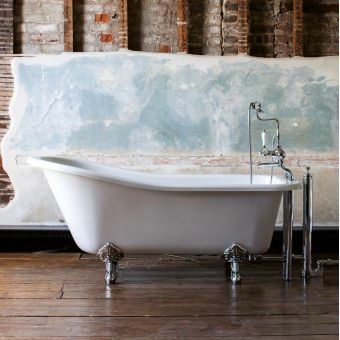 Slipping into a Burlington Bath is an unforgettable experience of total comfort and luxury. 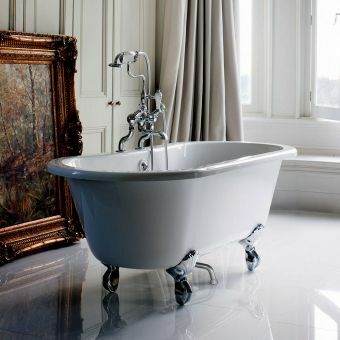 Beautifully presented and a joy to recline in, a Burlington bathtub can take pride of place in the even the most exquisite penthouse suite. 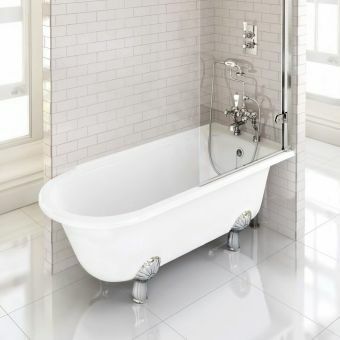 Free DeliveryBurlington Bateau Freestanding Roll Top BathFrom £779.35 inc.VATRRP: £1199.00 (Save 35%)1650 x 720mm, no tap holes. 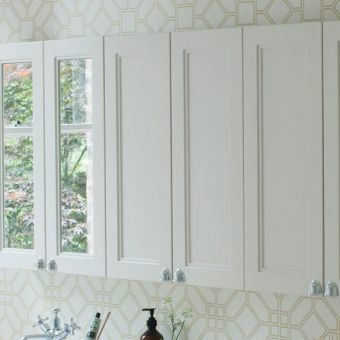 White acrylic which can be painted. 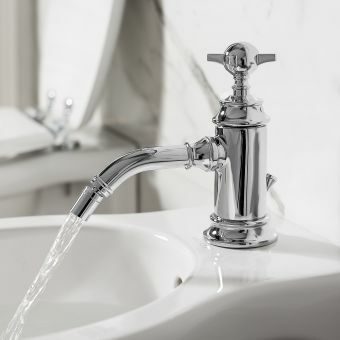 With brassware a speciality, and a focus on recreating traditional designs, this collection of taps and mixers provides a broad palette from which to choose pieces for the luxury bathroom. 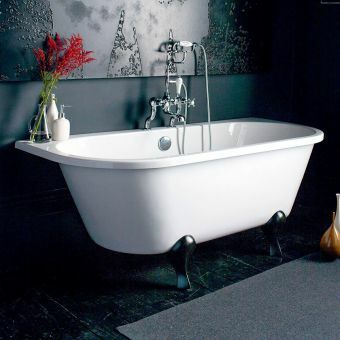 Options for baths, basins and bidet are all present here. 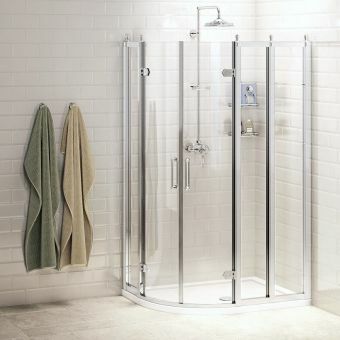 Burlington Shower Enclosures are fresh, inviting and clean. 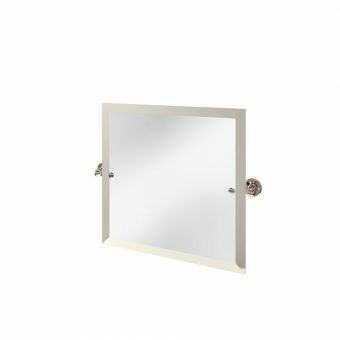 By utilising a combination of chrome frames and toughened safety glass, these enclosures are affordable havens of contemporary luxury. A 'one-stop shop' for the Victorian look. 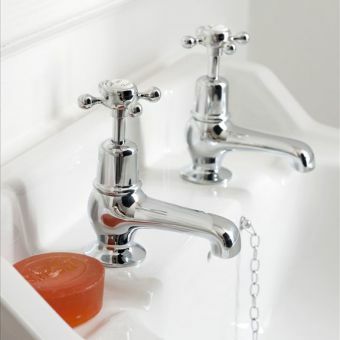 Choose any combination of basins, toilets or baths with matching brassware to give you as fully coordinated look. 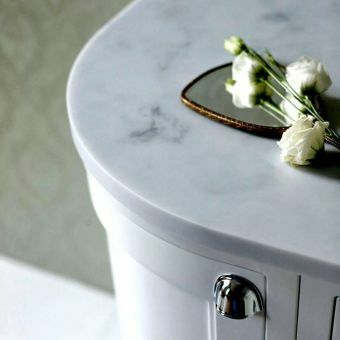 Integrated designs that incorporate the best ceramicware and even marble tops to washstands. 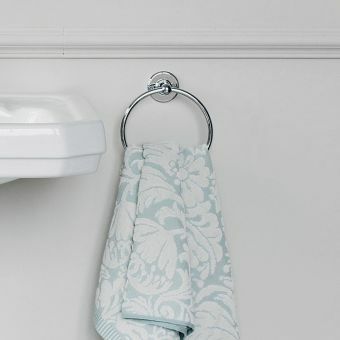 Keeping your bathroom pieces looking pristine can be a chore so the Nano glaze applied to the inside of toilets and some basins is a real life-saver if you like to keep cleaning to a minimum. The smooth slippery surface leaves nowhere for germs to cling on. 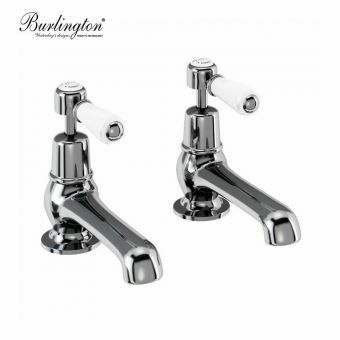 Brassware can be the finishing touch to your new bathroom and a coordinated look is mandatory so to make things easier for you Burlington has a comprehensive range of tap wheels with either a screw-down or quarter turn valve. 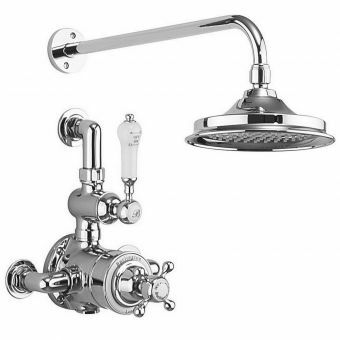 Shower sets and taps can be specified with different valve options, diverters or shower heads to give you the style and look that you deserve. 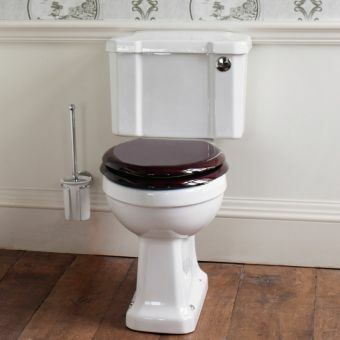 Standard and slimline cisterns all play a part in saving water while giving a satisfying flush. 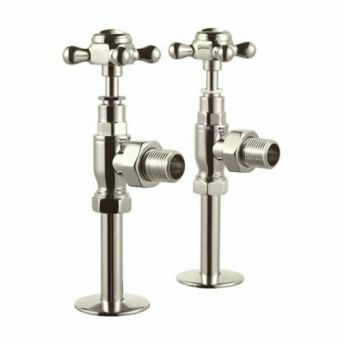 The dual flush cisterns deliver either a standard 6/3 litre flush or an even more impressive 4.5/2.6 litre eco flush to help save the World's resources. 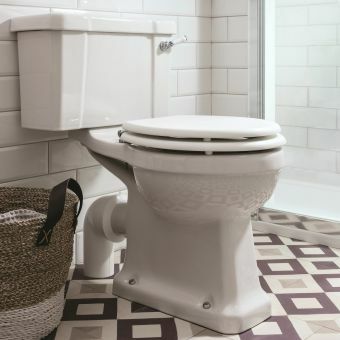 Reacting to feedback from customers has enabled Burlington to create an extensive range of toilets and basins which feature higher than normal access allowing taller people, elderly or those with restricted movement to use those facilities without excessive bending or strain. 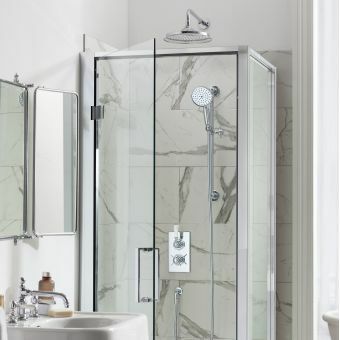 Shower enclosures and bath screens can look a bit grubby after a few uses and cleaning these constantly can be a real chore which is why a coating has been applied to these products. 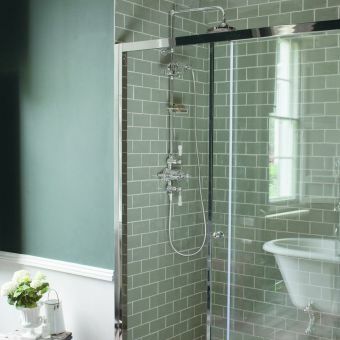 Acting like wax on a car bonnet, the transparent coating lets your new shower screen sparkle for longer with less cleaning. 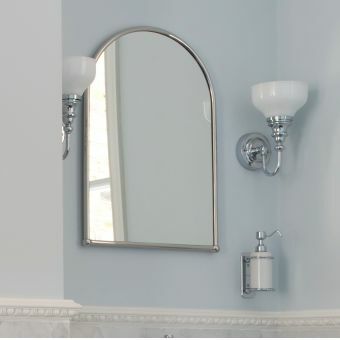 Burlington Bathrooms are part of the larger Bathroom Brands Group. 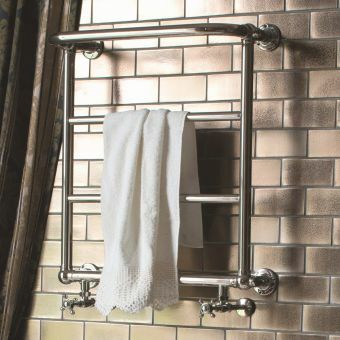 Burlington is focused on providing period and traditional bathroom styled items and suites that are made using the most advanced manufacturing technology available. They are a perfect fusion of the past and the present. 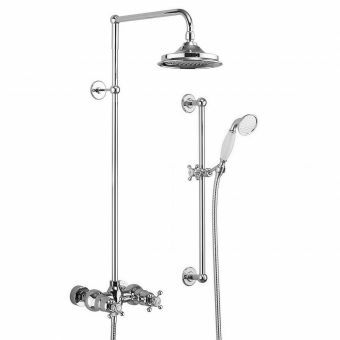 Burlington Bathrooms are very much about the traditional ages of British bathroom design. 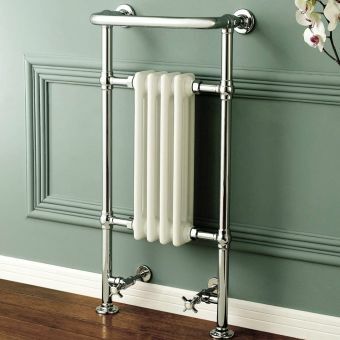 They have created ranges that revolve around the very best of British style. 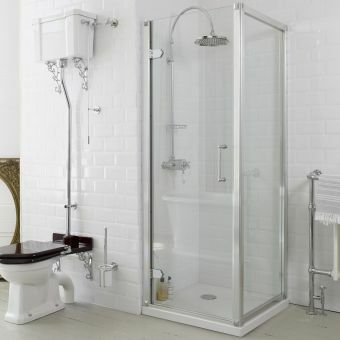 Being part of the prestigious Bathroom Brands Group has some serious advantages. 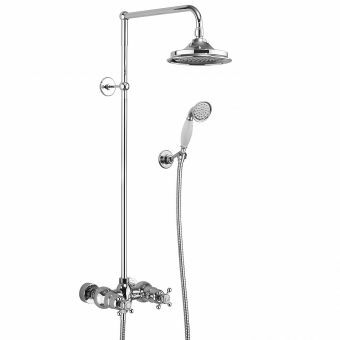 Bathrooms Brands Group Limited is an international company with offices in major cities such as London, Boston, Shanghai and Singapore. 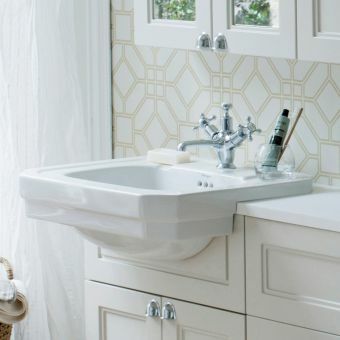 The Bathroom Brands Group has a brand and product to suit every possible requirement and eventuality a customer could ever want or expect. 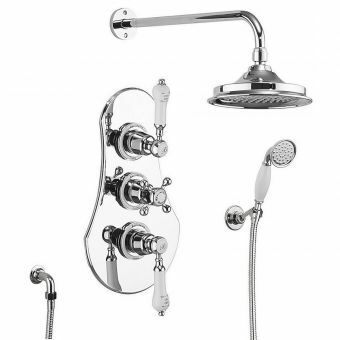 Other Brands the Bathroom Brands Group has are Arcade, Clearwater & Britton and Crosswater Holdings. Here at UK Bathrooms, we are a tall bunch (well with the exception of one of our Directors who we hope never reads this). We fully appreciate that everyone comes in different shapes and sizes and Burlington makes sure they cater for everyone. 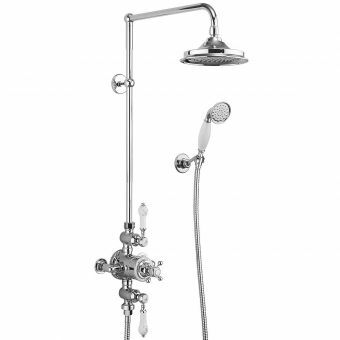 The problem with keeping to the exact styling and shaping of traditional items is that previous generations were a lot smaller than we are (or in the case of our Director still is), the main reason Burlington has launched the Burlington Regal product is to cater for these changes. 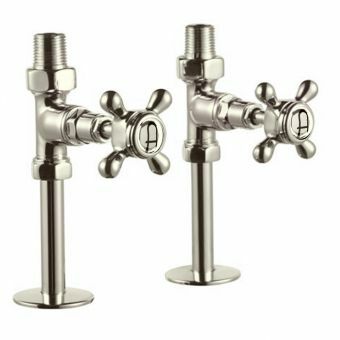 The Regal range is 6cm higher than average of most manufacturers. 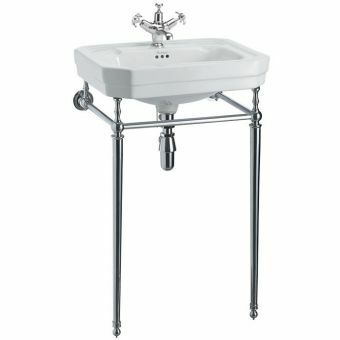 Approximately in the last 130 years, the average height of a European male has increased by 15cm; Burlington has made a range of basins and toilets that accommodate this. It’s not just those from the land of the giants that benefit from the Burlington Regal Toilets & Basins. 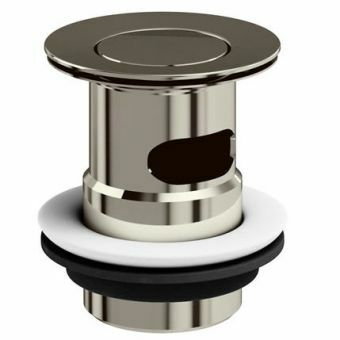 They are also very useful as a less abled product if you struggle to bend down as far. 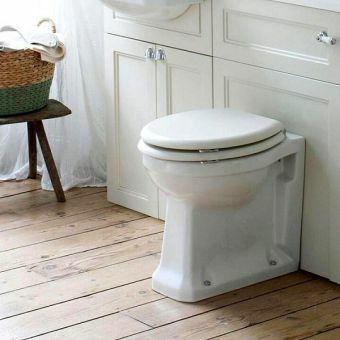 The higher pan takes a lot of the hassle and pain away from your knees and the high basin means you do not need to arch your back to get to the basin; which is a godsend for those who suffer from back pain. 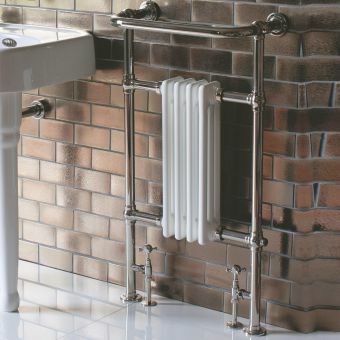 Invisible overflows are a great example of traditional styling with excellent engineering. 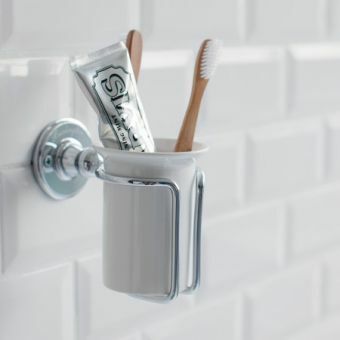 The invisible overflow allows the bowl to be purely ceramic. 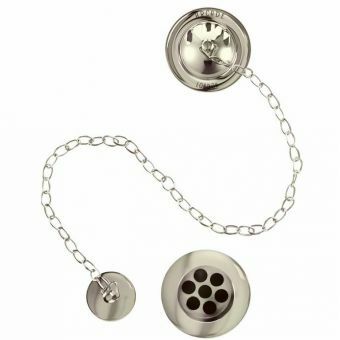 There is no need for unsightly metal plugs and chains that could rust and are just a hassle to clean. 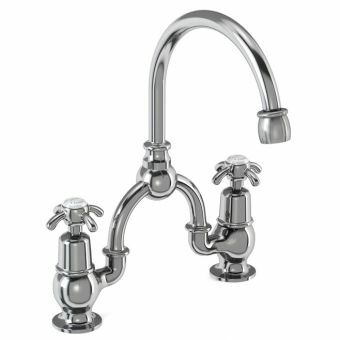 The Burlington Invisible Overflow has a simple chrome lever that you pull to drain water. 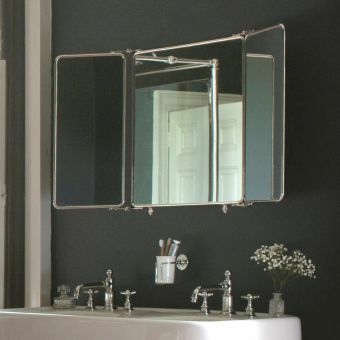 If you want something truly special then partner this with one of the Burlington Arch Basin Mixers and it will look great! 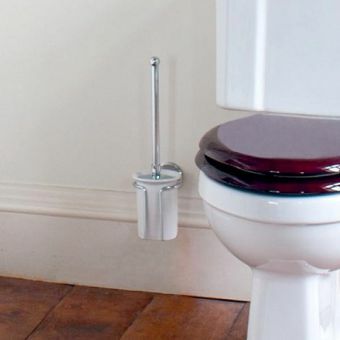 Let’s be honest no one likes cleaning their toilet, it’s a chore and a hassle. 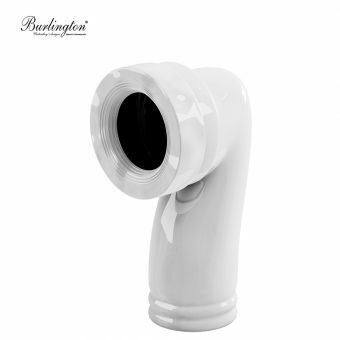 With the Burlington Nanoglaze, this hassle whilst not totally eliminated has been reduced. Think of the Nanoglaze as the equivalent of car polish on the paintwork of your car. 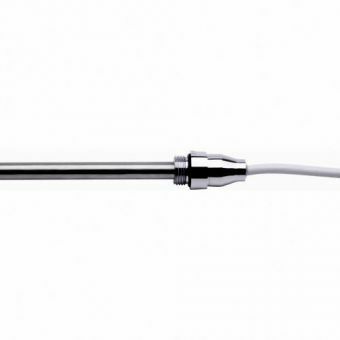 The Burlington Nanoglaze is a solution that is added to the ceramic after the ceramic has been fired. 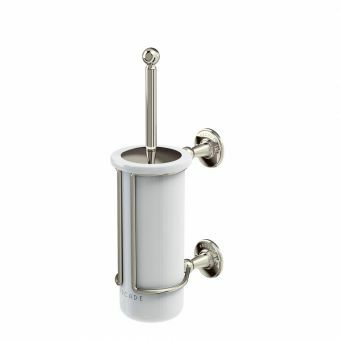 The solution fills and covers the imperfections and holes in the ceramic on a microscopic level. 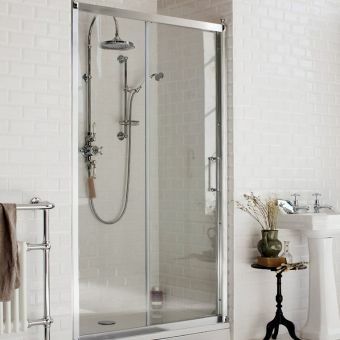 This means that dirt and grime have no place to cling to and are either flushed or wiped away with ease. 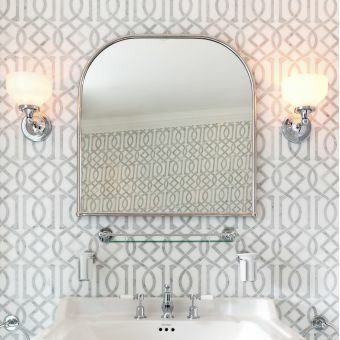 Burlington is renowned for taking the traditional and bringing it up to date. 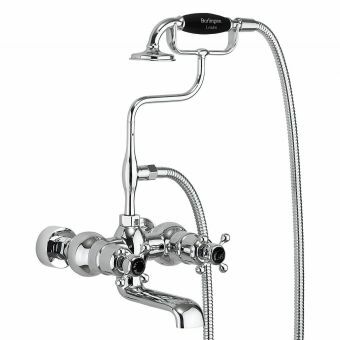 Burlington caters to all the different period styles you could need, for example, Victorian, Edwardian or Classic aesthetics. 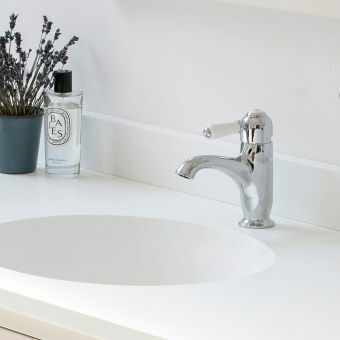 The Edwardian range of Burlington basins has clear and bold angles to it, creating a look which fits perfectly with every ones thought on what an Edwardian basin should look like. 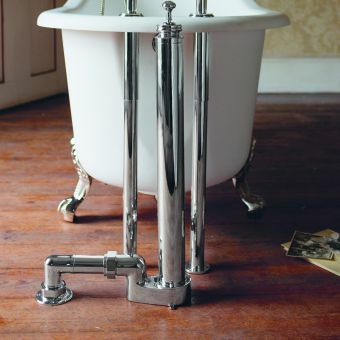 Your period property will look great with a matching period basin, made 21st-century manufacturing techniques. 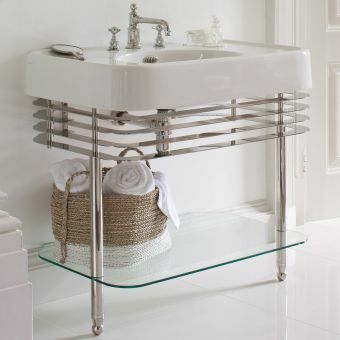 An Edwardian basin partnered with a polished chrome washstand looks absolutely stunning! 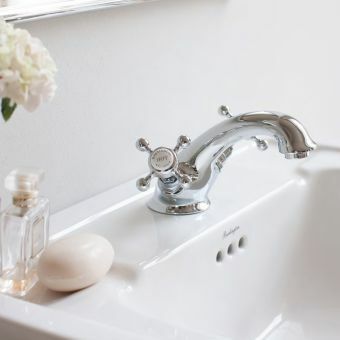 Whilst the Edwardian range is bold, the Burlington Victorian basin is subtly refined. 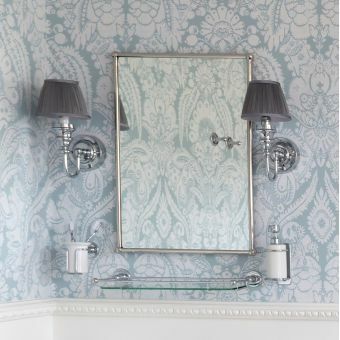 Well thought through style achieves classical, delicate forms which screams luxury to all who see it. 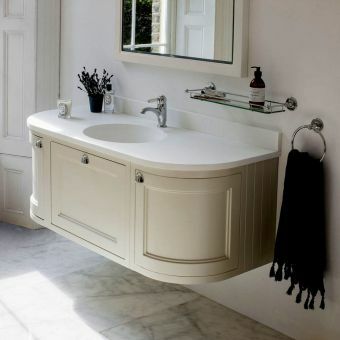 The Classic basin is really timeless. 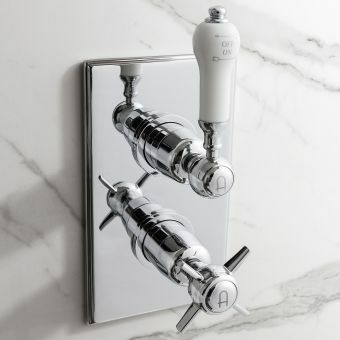 When it is paired with the right taps, and other bathroom fittings it just works, no matter what period you are trying to aim for. 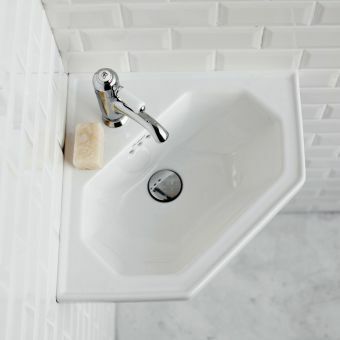 These basins have the flexibility to fit where you need them, as opposed to dictating what they should be used with. 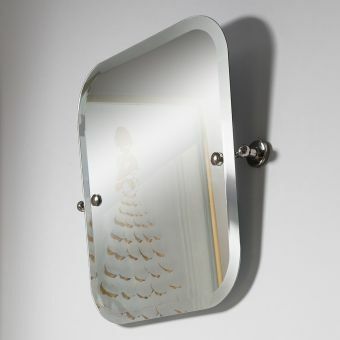 The Burlington Contemporary is at its heart a true blending of the past and present. 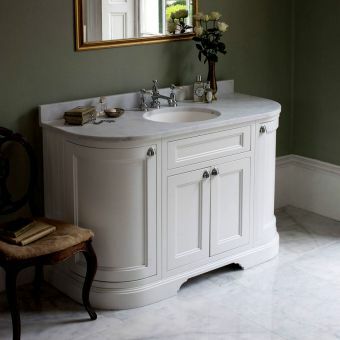 Just from looking at it you can see its period features, but it has been developed to be a simple and updated version of classically recognisable forms. Burlington may divide its basins into distinct periods; it doesn’t with its toilets. 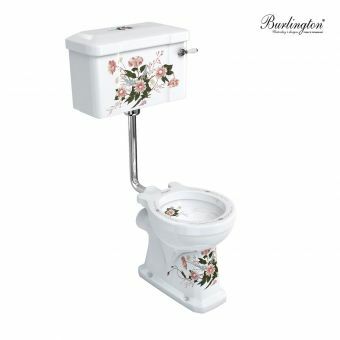 The Burlington WC range is designed to work with all periods. 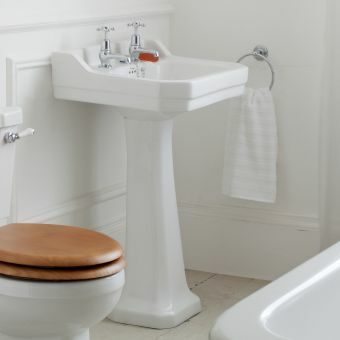 There are also High-Level Toilets, Low-Level Toilets & Medium Level Toilets in the range to help you create any look you are after. 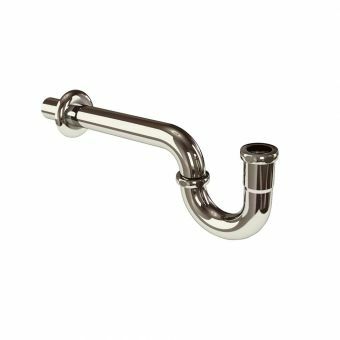 We have seen over the years that there is more and more demand for rimless WCs, really it makes sense as they are easier to clean and more hygienic. 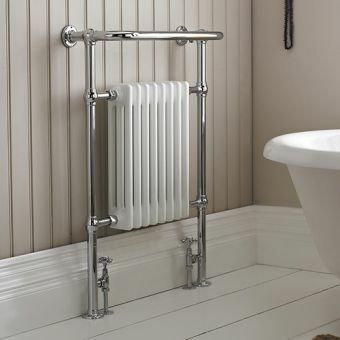 Whilst you would think that a traditional manufacturer like Burlington might shun this modern trend, far from it! 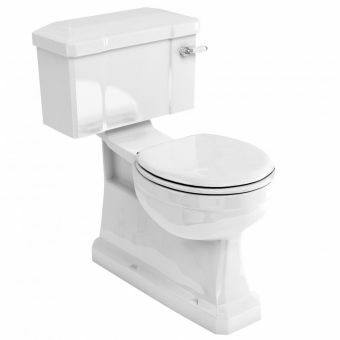 Burlington has embraced rimless and is one of few if any traditional manufacturers to have a rimless toilet offering. 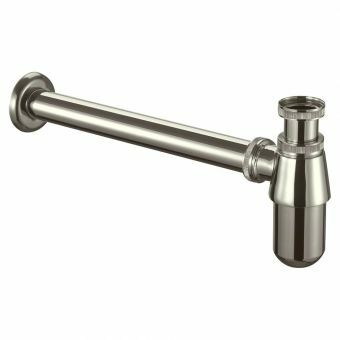 It’s also good to bear in mind if you are using these items commercially that all Burlington Close Coupled WCs come with WRAS approval. 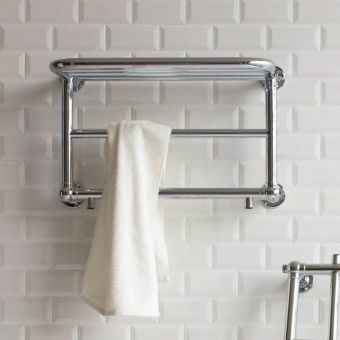 When buying a Burlington product you can be safe in the knowledge that it was built to last. 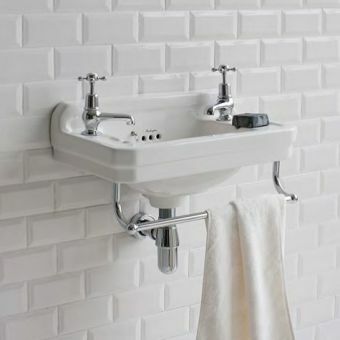 If there is a problem with the item between UK Bathrooms & Burlington we provide unbeatable aftersales and we will get the problem sorted for you. For full information about the Burlington Guarantee please consult the Burlington Website. 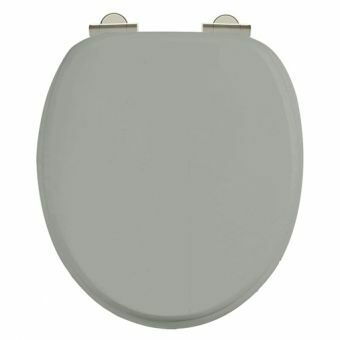 Whilst we don’t stock any spare parts, if you ever find yourself needing a replacement Burlington toilet seat, hinges or parts it might be something we can order in for you. 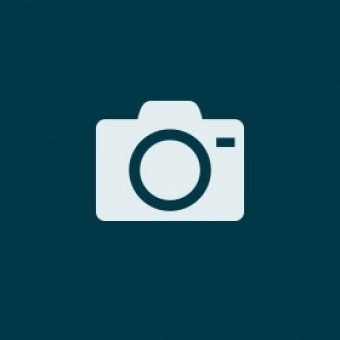 Whatever your requirements just let us know and we will see if we can help.